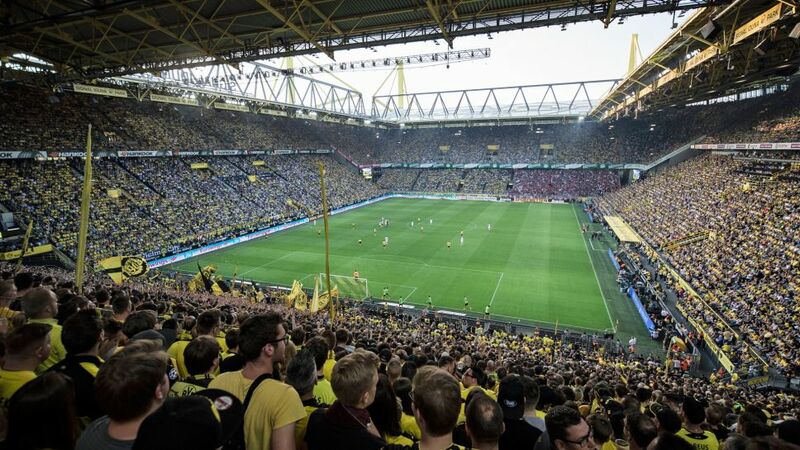 The Bundesliga and its clubs have long been connected in the fight against discrimination, in any form, and now Borussia Dortmund have taken it to a new level by introducing in-stadium banners against racism. These are the messages that now stand inside the world-famous Signal Iduna Park, home of Bundesliga leaders Dortmund. The club has long been at the forefront in the battle against racism and discrimination and now each and every one of the 80,000 fans that visit the stadium every two weeks will see messages of anti-discrimination. It’s a battle that Dortmund as a club have been fighting for a long time. Earlier this season the club wore a special one-off kit without a shirt sponsor against Eintracht Frankfurt, instead sporting the message “Borussia Verbindet” which translates to “Borussia united”. This, and the ever-present merchandise sold by the club, such as beer mats and cups, which read “No beer for racists” has been a constant reminder to fans of the league of the fight against racism. Of course, Dortmund are just one of many Bundesliga clubs who have taken a stand against a huge range of discriminatory topics. Borussia Mönchengladbach’s Borussia-Park stadiums hosts permanent messages above the North and South stands at the stadium, one reading “Against Racism” and at the opposite side reading “For tolerance”. Wolfsburg are the first and only club in the Bundesliga where the club captain’s armband is rainbow-coloured, to support anti-homophobia. While last season, Hertha Berlin’s players took a knee to support the “TakeAKnee” campaign across the world. The DFL and Bundesliga itself has also been a huge supporter of such movements, creating our own earlier this year. The DFL combined with all Bundesliga clubs in a campaign called “strich durch Vorurteile” - (Step through prejudice) - which included TV adverts in the country and on-pitch actions involving every Bundesliga player on the pitch before games.